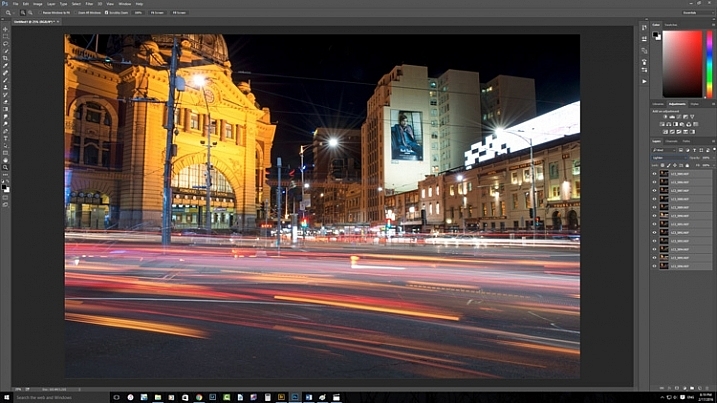 In Melbourne there is an intersection that’s iconic for taking light trails phtos. 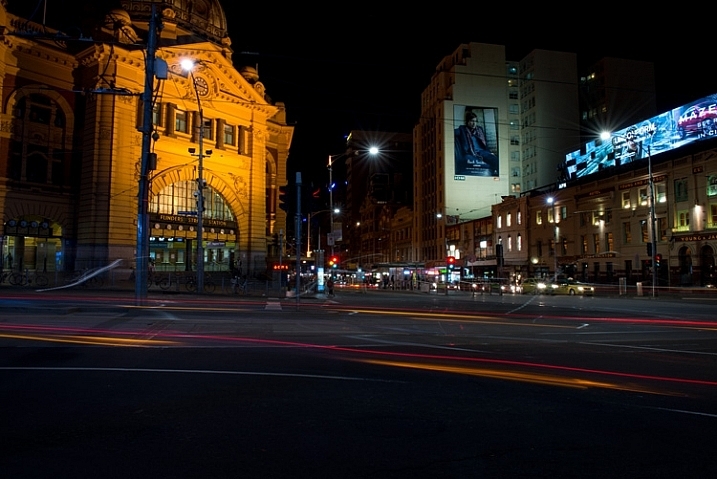 It is the corner of Flinders Street and Swanston Street, in front of Flinders Street Station. 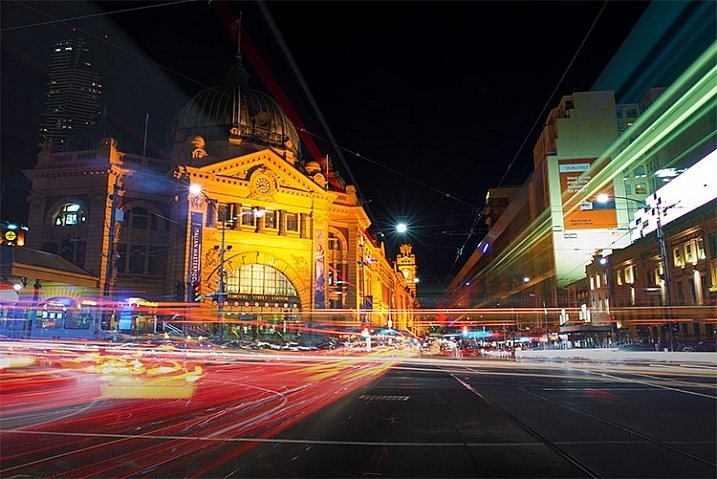 Light Trails in front of Flinders Street Station. There are 23 images in this stacked light trail. It isn’t a hard image to take, you just need a camera and a tripod. To get a really good photo, you want to pick a time when there is going to be a lot of traffic. You want the traffic to be moving, as cars caught in a traffic jam will not give you the light trails you’re after. The cars need to be moving constantly, and not standing still for too long. Pick a place that you think will give you the best advantage. Set the camera up on the tripod, and try to take as long of an exposure as you can. To get the trails, you need to have exposures for several seconds, up to 30. You could do them for longer, but you would need other equipment (like a neutral density filter to cut the light). Most of the images shot for this article had an exposure of around eight to 10 seconds. Sounds fairly easy, but there are many things that can make it hard. The time of year can inhibit you, as daylight savings will affect when the best time for traffic is, and how busy the roads are. 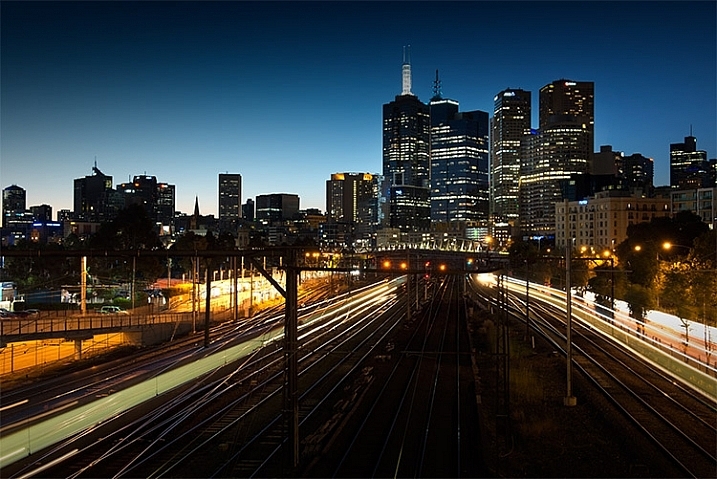 If you go to a place on the weekend, you might find there aren’t as many cars as there would be during the week. 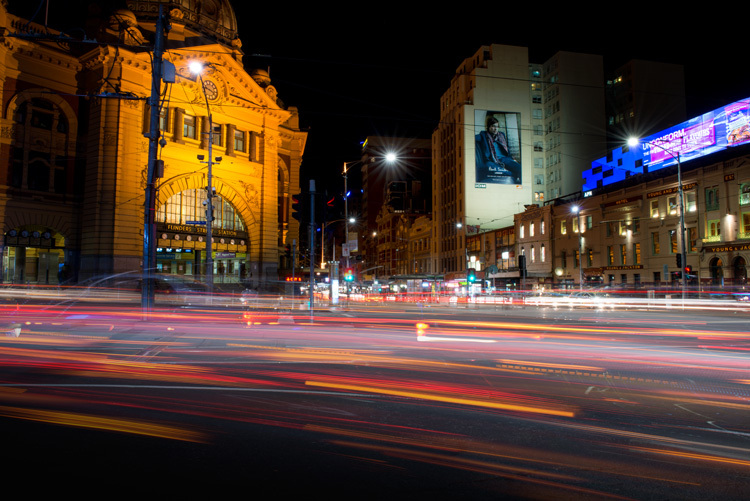 To get the light trails in front of Flinders Street Station, you need to be there at dusk, or after the sun has gone down. In summer that means not many cars or trams. However, there are ways to get around that. One of the best ways to get light trails, is to stack many images together. From the intersection that was mentioned previously, the corner in front of St Paul’s Cathedral is the most popular. There are other places, but that seems to be the one that most use. You will have to work out a great place to photograph them where you live. A single image, and as you can see there aren’t that many light trails. Set your camera up on the tripod, this is necessary so you will get identical photos. Set the aperture to what you want. The ISO can be low, on 100 or 200, so you can get longer exposures. If you want longer, remember you can put your aperture to the smallest possible, like f/22. 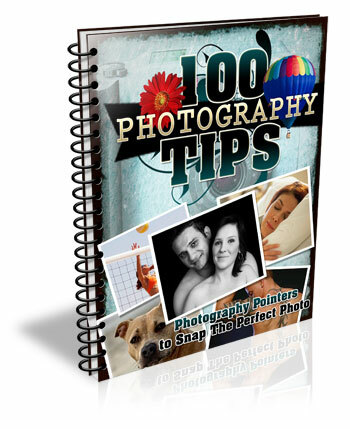 Once you have a shutter speed that is several seconds, it is time to start taking your photos. Take one photo, then repeat until you have at least 10. 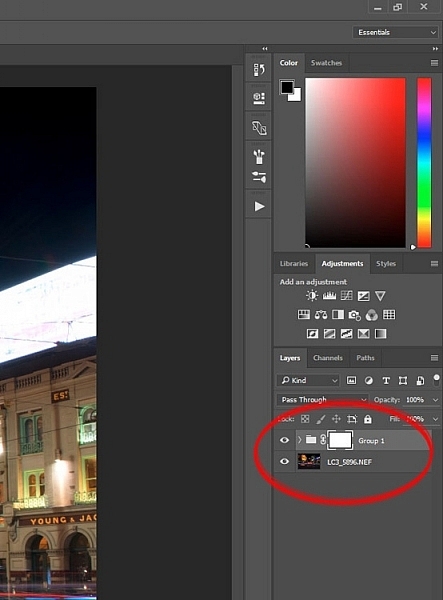 You can do this with as many images as you like, however, Adobe Photoshop might not like you using too many. I’ve done it with four images, and as many as 23. Put all your photos onto your computer. You can use Lightroom to do this, but to do the actual stacking you will need Adobe Photoshop or any program that allows you to use layers. Once you have all the images ready to use, select all the ones you want. 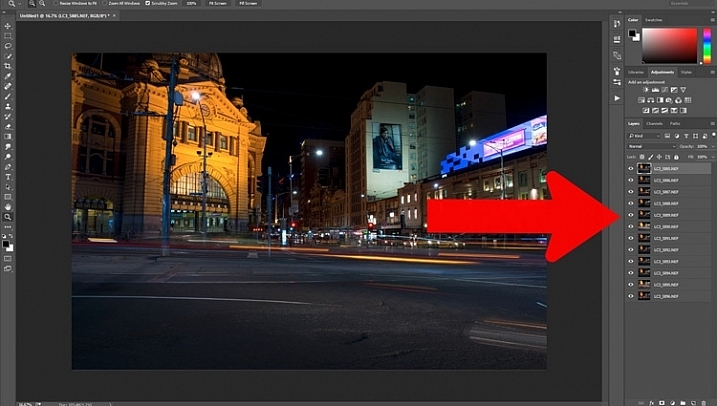 If you are using Lightroom to begin with, go to: Photo > Edit in > Open as Layers in Photoshop. 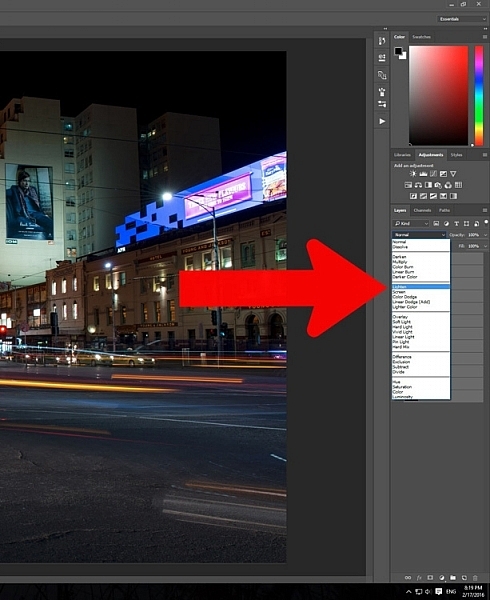 In Photoshop open Bridge and select the images you want to use. 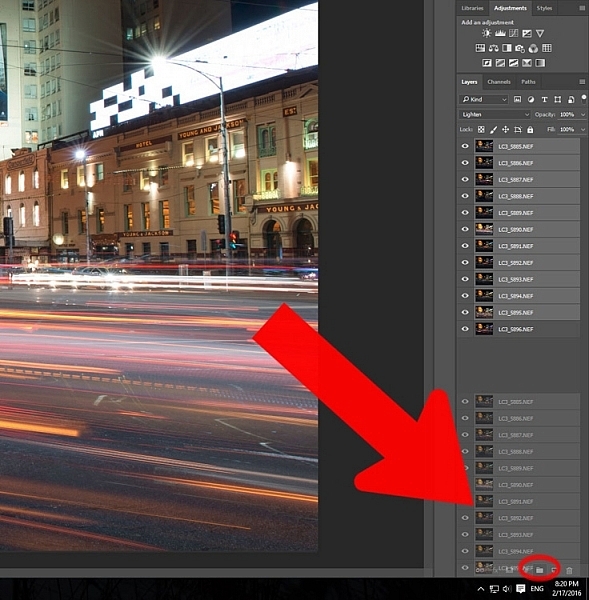 Go up to Tools > Photoshop > Load files into Photoshop Layers. 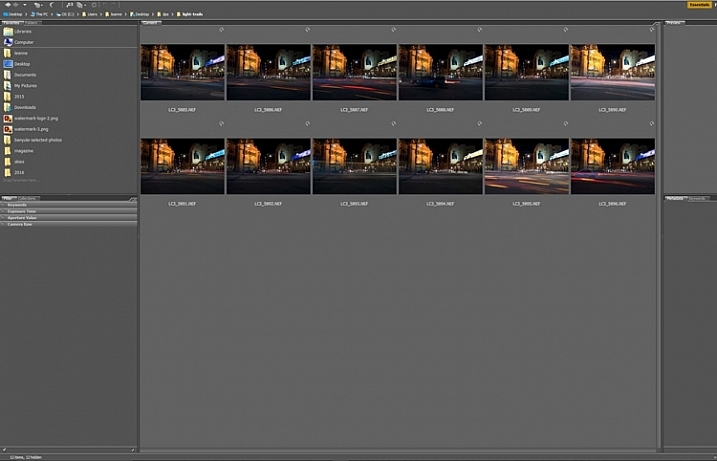 Select all the images you want to use for the light trails. It can take some time for the layers to all open, especially if you are using raw files, and there are a lot of them. All the layers are opened in Photoshop. Once the layers are all loaded, you need to select them all. You can do this by selecting the bottom layer, then pressing the shift key and clicking on the top layer. This will select them all. Select all the layers so they can be used. Once selected, go to the Blending Mode Options in the Layers panel. The default setting is Normal. Click on it for the drop down menu, select Lighten, and click. Select the lighten blend option. 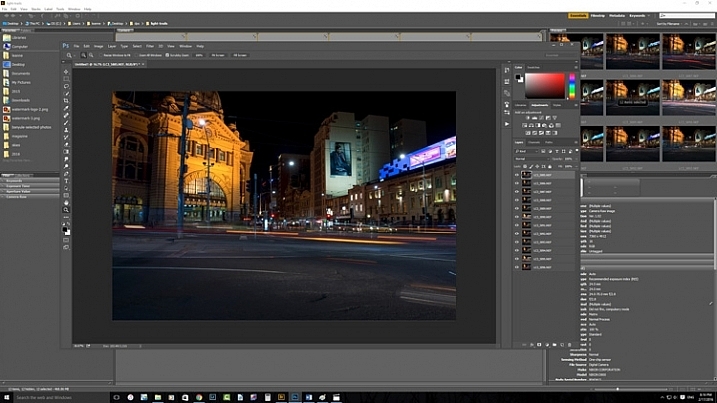 You should notice that the image now has far more light trails. All the trails, from all of the images have come through now. Lots more light trails apply. You now have a stacked light trail image. Sometimes when you do this, it can change a lot more than just the light trails, it may lighten other buildings too much as well. You can correct this. Select all the layers, except the bottom one, and put them into a group. You can do this by dragging them down to the group icon at the bottom of the panel, or right click on the select layers, and when the menu pops up click on Group from Layers. Put all the layers, except for the first one, into a group. Add a mask to the group from the bottom of the Layers panel. 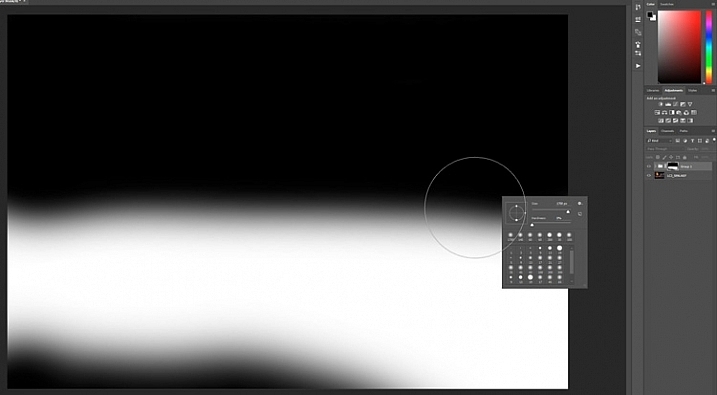 Select the brush from the tools on the left, or press Ctrl b (just B on Mac). Make sure foreground colour is set to black. Making sure the mask is selected, paint over the areas where there is too much light to mask those areas. Once the mask is added you can use the brush to remove the unwanted lights. If you alt click on the mask you can see what you have done. The black is where you have removed the unwanted lights. The image is now completed, unless you want to do more to it. But, as far as the light trails go, you really don’t need to do any more. This is a great technique which can be applied to many areas. You could use it for ships on the water, or trains going in and out of the city. It can also be used on waterfalls to make them seem fuller. Why don’t you try and see how else you can use this technique. Here are some other images to give an idea of how to use this technique. 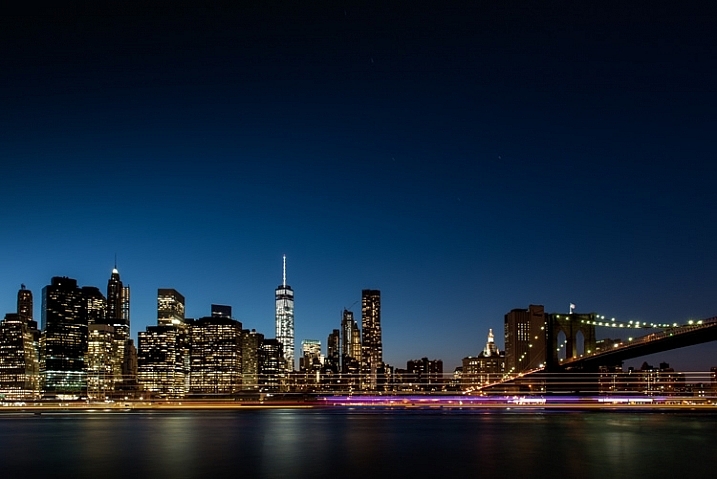 Boats on the water in the foreground of the Manhattan skyline. Four images. Trains coming into and out of the city. Three images. The post Stacking Light Trails for Night Photography Special Effects by Leanne Cole appeared first on Digital Photography School. Previous Post: Exposure: Get it Right in Camera or Fix it Later?